I’m definitely an Epiphone man. The Sheraton is my particular favorite model. I was introduced to it when I joined Ernest. When I first arrived in Nashville, I was playing a Fender Jazzmaster and prior to that I played the Telecaster and the Stratocaster. Gibson sponsored Ernest and they told me they would like me to play a Gibson. We went through Kalamazoo and I looked over the guitars at the factory and I picked the Epiphone Sheraton. I really like the neck and I think it is a quality instrument. And that’s what I’ve played pretty much exclusively until a few years ago when I went back to the Telecaster. I use the Tele on the Opry and quite a bit on sessions. To quote Grady Martin, the Tele has “...that shrill sound that kills Johnson grass when you pick it.” The kind they love in the studio. This article originally appeared in VG’s Jan. ’98 issue and is reprinted here with the express permission of the author. All copyrights are by the author and Vintage Guitar magazine. Unauthorized replication or use is strictly prohibited. For more articles like this each month, subscribe to Vintage Guitar magazine. Texas-born Country Music Hall of Fame Member Ernest Tubb is one of the more important figures in the history of country music. Influenced by the legendary singing brakeman, Jimmie Rodgers, Ernest (known by friends, fans and peers as "E.T.") wrote and sang a lot of songs about drinkin' and cheatin'. He helped define an entire category/style of country songs: honky tonk. Songs he wrote or performed, like "Walking the Floor Over You", "Slipping Around", "Warm Red Wine" and "Drivin' Nails In My Coffin" are quintessential honky tonk. He became a regular member of the Grand Ole Opry circa 1942 and this added to his already substantial popularity. He used this popularity to help champion the use of electric instruments on the Opry - and in country music in general. (Although E.T. wasn't the first artist to use electric instruments on the Opry, his popularity as well as his adamant insistence helped break Grand Ole Opry management's resistance to the presence/use of electric instruments.) E.T. also helped convince the recording/music industry to use the term "country and western" music rather than "hillbilly" music - a term a lot of folks found less than complimentary. Ernest was also one of the most generous stars in country music. 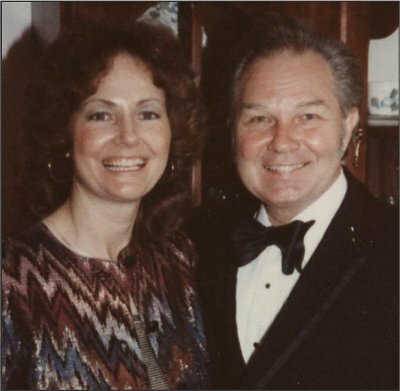 He unselfishly used his fame and influence to help people like Hank Snow, Hank Williams, Hank Thompson, Loretta Lynn, Jack Greene, Cal Smith and many others. E.T. attracted a regular group of very fine backup musicians. 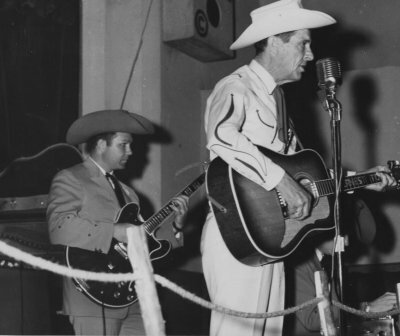 His 1950's Texas Troubadours included Billy Byrd (of Byrdland guitar fame) on guitar. 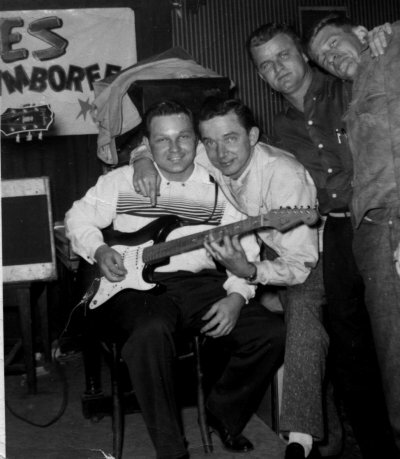 And by the late 50's, Buddie Emmons was playing steel guitar for the Troubadours. 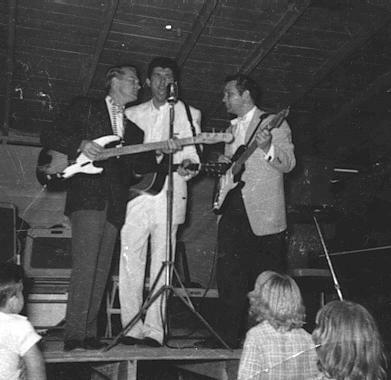 Through much of the 1960's Ernest had an exceptionally fine Troubadour line-up. (It certainly was my favorite.) It included Jack Greene (on drums), Cal Smith (master of ceremonies on rhythm guitar), Jack Drake (brother of steel guitarist Pete Drake, on bass), Leon Rhodes (on lead guitar) and Buddy Charleton (on pedal steel guitar). (Even the Troubadours singing bus driver, Johnny Wiggins, got a little spot in the act.) This was quite a unit! (Jack Greene and Cal Smith would eventually go on to become major country stars in their own right, each with several #1 records.) E.T. was so impressed with these guys that he gave them a short solo set on nearly every show. And he helped get them signed to Decca Records as a "solo" act. (I'm sure glad he did!) This line-up recorded 3 albums for Decca. (An additional album was recorded in the late 60's with a slightly different line-up and is also quite good.) All of these LP's contain a mixture of vocals and instrumentals. While most of the vocals are in the "decent to pretty good" category, "pretty good" doesn't begin to describe the instrumentals. They're TERRIFIC! 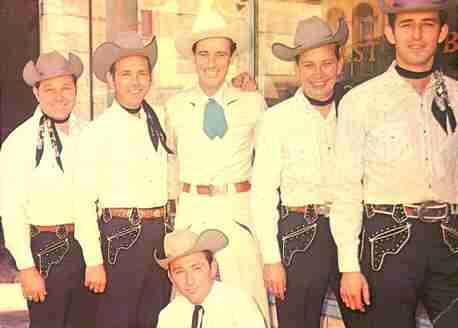 As you can probably surmise from the title, this month's "SPOTLIGHT" LP, Ernest Tubb Presents The Texas Troubadours, is the Troubadours debut "solo" album. This very fine LP features 6 vocal tracks and 6 instrumental tracks. And the instrumental tracks feature some excellent playing by all of the Troubadours - and Leon Rhodes and Buddy Charleton in particular. 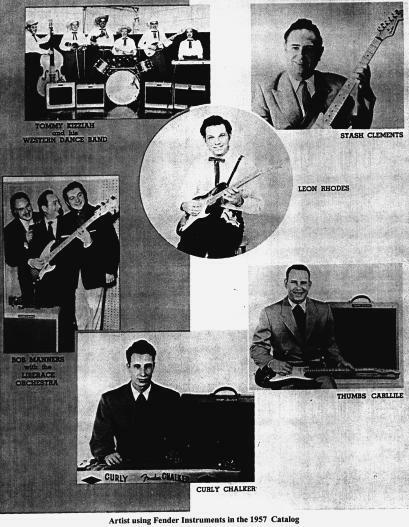 (On the cover of the LP, Leon is on the bottom row on the right and Buddy is in the top row, second from the left.) These guys could really cook! (I think they're one of the best guitar/steel guitar tandems ever.) "Cains Corner" is a nice moderate tempo tune that features that close harmony twin guitar style that I can't get enough of. Leon and Buddy both contribute some fine short "breaks" on this one. There's a short section featuring some cool muted picking and some fine "stick" work by drummer Jack Greene. (Very tasty stuff!) The "Twelfth Street Rag" features Leon all the way. This version begins at a very brisk tempo and right near the end of the song, breaks into a seriously silly tempo. (This rivals Jimmy Bryant's version on his LP The Fastest Guitar In The Country.) Leon plays the last verse or so in that great old "banjo chord" style. It's very cool sounding. He throws in a couple of his signature single note "licks", a bunch of neat double-stops and the whole thing roars to a close. (Insane!!) Of the hundreds of different recordings of Leon McAuliff(e)'s classic "Pan Handle Rag", the Troubadours version is one of my all-time favorites. This thing features some superb steel work by Buddy. Buddy gets a great tone on this one and Leon chips in with a very tasty fill. And I love the close harmony guitar work! Decca Records thought enough of this tune to release it as a 45 RPM single (backed with "Rhodes-Bud Boogie" - on Decca 31699). The "Texas Troubadour Stomp" is a "no holds barred" burner! Everyone shines on this one. There's a very cool "slippery sounding" segment that features Leon and Buddy once again locked in very close harmony. (A couple of segments sound like "bop" to me.) And the "breaks" by Leon and Buddy are SUPERB - textbook examples of my favorite musical hybrid: country-jazz. (Yee-haw!!) "Rhodes-Bud Boogie" sounds like it's right out of Speedy West and Jimmy Bryant's songbook. It's a great boogie with an intricate chromatic section that features still more fine tight harmony work. And more textbook country-jazz fills and solos. "The Waltz You Saved For Me" is another steel guitar showcase for Buddy Charleton. His beautiful tone and expression are the highlight of this song. Leon plays a nice, simple solo (very much as if he was backing E.T.) utilizing some tasty tremolo picking. To the best of my knowledge, nothing from this month's "SPOTLIGHT" LP has been re-issued on compact disc. (Too bad! How about it Decca? How about re-issuing all 4 of the Troubadours LP's??) However, don't despair. One way to hear Leon Rhodes and Buddy Charleton on compact disc (without E.T.) is to listen to the incredible track "Honey Fingers", from the CD Legends of Guitar - Country, Vol. 1 (Rhino CD R2 70718). This features some TREMENDOUS country-jazz soloing from Leon. (This version is in mono. I prefer the stereo version.) Or - if you want to hear Leon and Buddy (and the rest of the Troubadours) backing E.T., a great "live" CD is Ernest Tubb Live 1965 (Rhino CD R2 70902). Two tracks on here are instrumental ("Pan Handle Rag" and "Rhodes-Bud Boogie") and feature some ultra-fine playing by Leon and Buddy. Ernest Tubb's Fabulous Texas Troubadours (Decca LP DL 74745) The previously mentioned "Honey Fingers" is a standout track on this great LP. (Leon's two solos BURN!) Other notable tracks include "E.T. Blues", "Cool It", "Take That" and Buddy's beautiful version of the "Gardenia Waltz" (tremendous tone and feel on this one). The Terrific Texas Troubadours (Decca LP DL 75017) This LP (with a slightly different Troubadour line-up) features Buddy playing a supercharged version of Buddie Emmons "Buddie's Boogie". (Smokin'!! There's some pretty cool drum work on this one too.) Other songs feature some very hot fiddle playing by guest artist Wade Ray. * Ernest Tubb Presents The Texas Troubadours is available in stereo on Decca LP DL 74459 or in mono on Decca LP DL 4459. A final note: I'm not sure what all of the 1960's Troubadours are up to these days but I do see Jack Greene on the Opry from time to time. (Usually as the host of the televised portion.) Occasionally I see Leon Rhodes as part of the Opry staff band and he may even take a solo or two. Buddy Charleton was inducted into the Steel Guitar Hall of Fame in 1993. He runs a music store in Maryland and I believe his most current CD is called "Playing Silk". Jim Hilmar is a long time writer/columnist for Vintage Guitar Magazine (he wrote the popular "SPOTLIGHT" column for 9 years) and a radio DJ as well. Leon Rhodes is one of his big guitar influences and back in 1997, he interviewed/profiled him. He also profiled Leon and fellow Texas Troubadour Buddy Charleton in the September 1994 issue of Vintage Guitar Magazine. 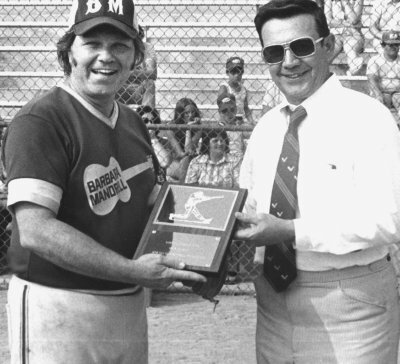 Through the years he's had the pleasure of interviewing/profiling players like Brent Mason, Hank Garland, Roy Lanham, Roy Nichols, Norm Hamlet, Buddy Emmons, Phil Baugh and many more. 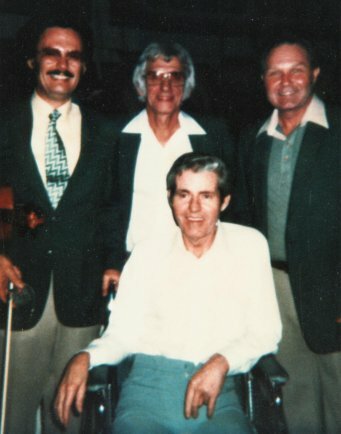 He also became friends with great players like the late Speedy West and Larry Collins (and sister Lorrie). In his radio 'career' he's been the regular host/producer of 2 programs: Frettin' Fingers ("The Guitar Music Show") and Country Junction. Frettin' Fingers features great guitar music (in many genres) from the 1930's through the present and Country Junction features great songs from the golden age of hillbilly music (in my opinion - from the late 1940's through the early 1960's). Frettin' Fingers always has a set (or more) of great hillbilly, western swing, rockabilly, country-jazz and if my audience out here in Western Washington State is any indication - there's a market for songs from the golden age of hillbilly music.